Medilink East Midlands has launched a Life Sciences project that will target Innovative companies in the South East Midlands Local Enterprise Partnership (SEMLEP). Part-funded by the European Regional Development Fund (ERDF), ‘ACTIS’ will provide medical technology, pharmaceutical and bioscience organisations with funding and support to help develop their new innovative projects and products. ACTIS: Advanced Clinical Technology Innovation Support will run until June 2019 at a total cost of almost £1.3 million, with £649,782 coming from the ERDF funding allocation of SEMLEP. During that time, Small and Medium-sized Enterprises (SMEs) will be able to gain access to life science sector specific expertise as well as grant funding and networking opportunities. This support will ensure that SMEs benefit from cutting edge technologies, identified clinical needs, and early incorporation of regulatory and IP management strategies. All of this will lead to improved commerciality of products, reduced product development timescales and the creation of potentially ground-breaking healthcare innovations. ACTIS follows two similar projects launched in 2016; SoLSTICE, which runs in the Leicester & Leicestershire Local Enterprise Partnership (LLEP) and INSTILS, serving the Derbyshire & Nottinghamshire (D2N2) LEP. These are also part-funded by ERDF and will run until late 2018. The three projects combined will allow Medilink EM to deliver a raft of support across the whole of the East Midlands, and two new advisory roles at the company have been created as a result. 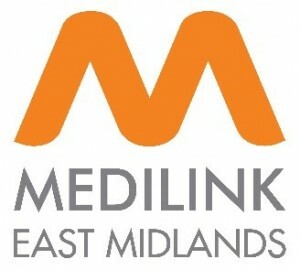 Medilink EM is the Life Science support organisation for the region and brings together business, university and NHS communities across the sector. The ACTIS project is being launched in collaboration with partners; Northamptonshire Healthcare NHS Foundation Trust and The Open University.